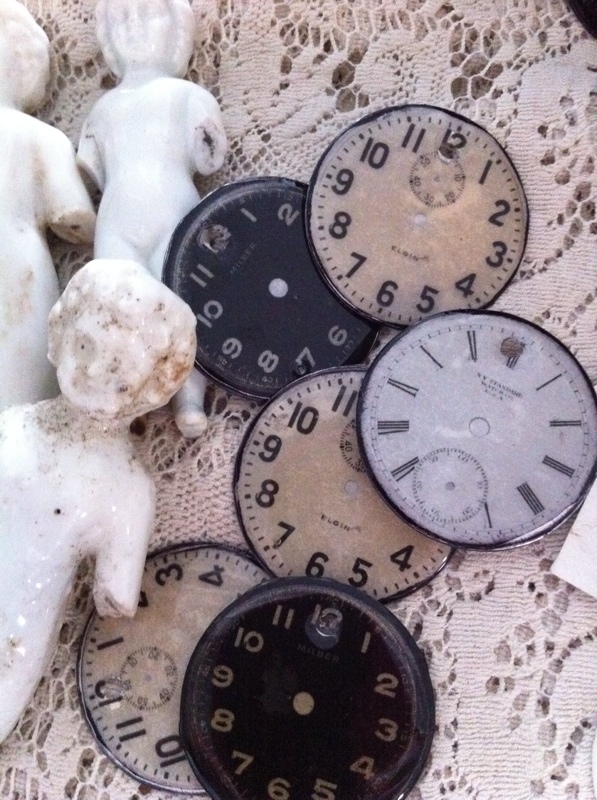 Linen-chic: Steampunk Clock Faces.........First Giveaway! 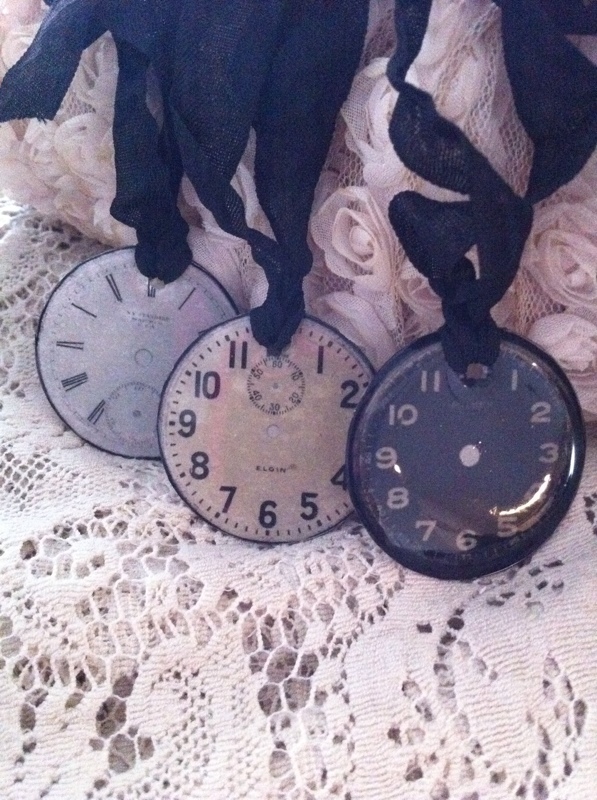 Look what I made today!................Vintage enamel clock or watch faces..............so steampunk!................Simply made with metal tags, vintage digital images and a `secret` chemical heating process............voila! Now my first free giveaway.............please forgive me for any snafu`s..............hopefully there won`t be any! Anyhow, simply post me a comment on what you would do with one of these pretty clock faces .....................I will read all posts but to be fair will select the winner using Random.org. Those are so cute! I confess that I have never heard of steampunk before. Then again, I never heard of Frozen Charlotte until I saw it in your blog. I think I would hang one on a very vintage ceramic glove mold. It is sitting on my dressing table and I think the little clock would be so cute there too! I am making a mini album with the theme of romance and how time flies. One of these beautiful little faces would be just right. I love your store and all the beautiful supplies you have. Keep up the great work. You are the winner of my blog contest! You can contact me at linenchic1@yahoo.com with your color choice and shipping details.